Washington State University officials issued a statement Thursday that they found “no violation of university policy” following a report that Gesser made “multiple advances … on both student interns and coworkers" published Thursday by the Daily Evergreen, the school newspaper at WSU. 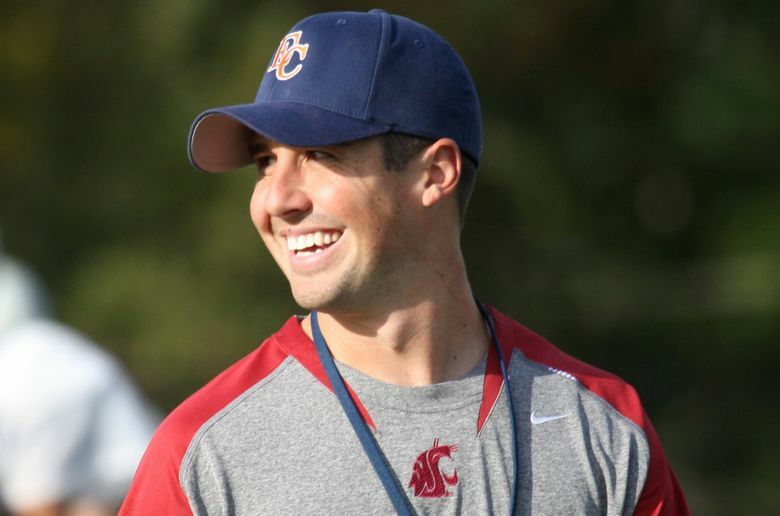 Washington State University officials announced Thursday that they found “no violation of university policy” regarding an investigation into alleged inappropriate sexual conduct by former quarterback and current athletic staff member Jason Gesser. Gesser issued a statement Thursday night strongly disputing the story. “I was very disheartened to read the story published in the Evergreen stemming from rumors and unfounded accusations regarding my professional conduct,” Gesser wrote. “While I am grateful that our institution fully investigates accusations of impropriety, I am disappointed that the unfounded complaints submitted to the Office for Equal Opportunity and the Office of Internal Audits have been made public, needlessly affecting individuals who don’t deserve public scrutiny and criticism. Gesser starred for the Cougs from 1998-2002 and set the record for the most wins by a WSU quarterback. After a six-year professional career and several coaching stops, including a stint at Idaho, Gesser returned to Washington State in 2013. He helps raise funds for the school as the assistant director of athletics for the Cougar Athletic Fund. Gesser did not immediately return a phone message seeking comment. “We are going to stand behind the statement” from Schulz and Chun, Stevens said.